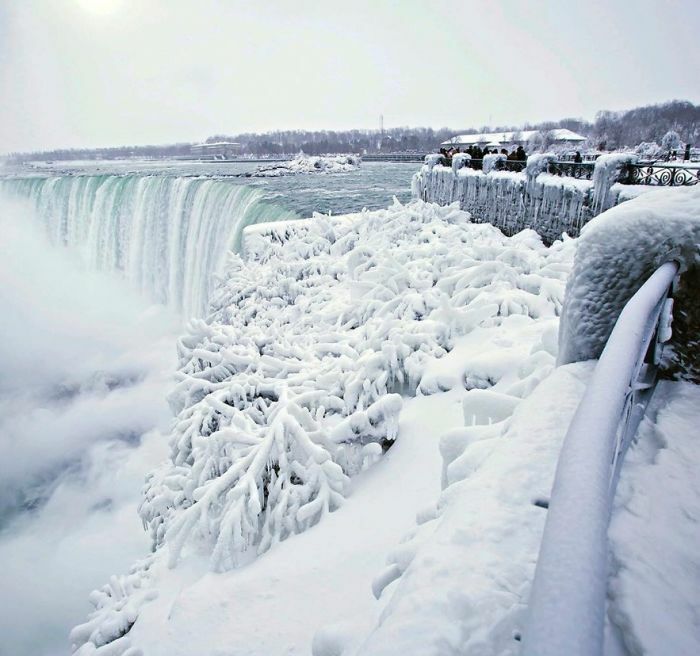 Niagra Falls is an amazing attraction all year long. 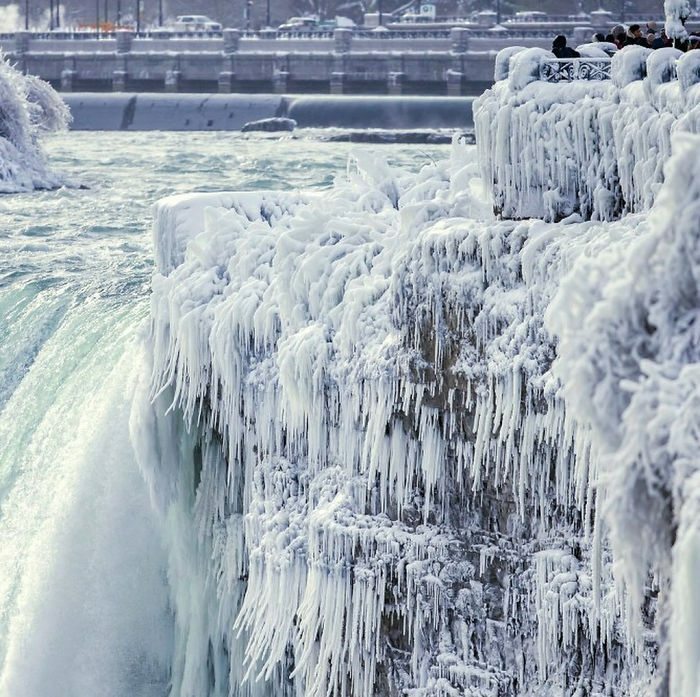 Niagara Falls consists of three waterfalls that straddle the international border between Canada and the U.S, specifically Ontario and New York, which form the Niagara Gorge. 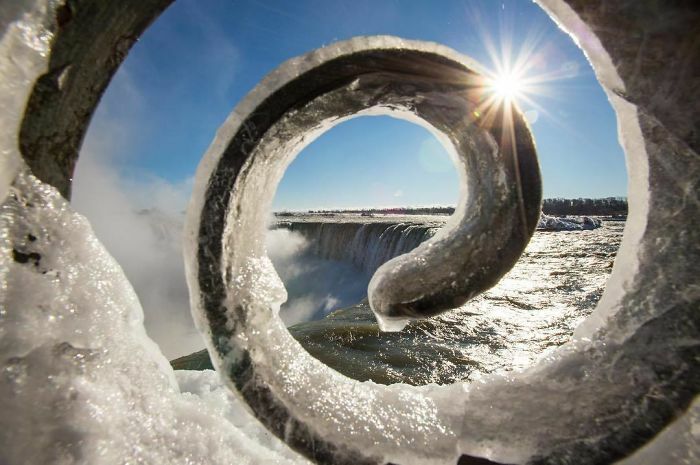 The Horseshoe Falls is the largest fall which is on the border of Canada and the U.S. 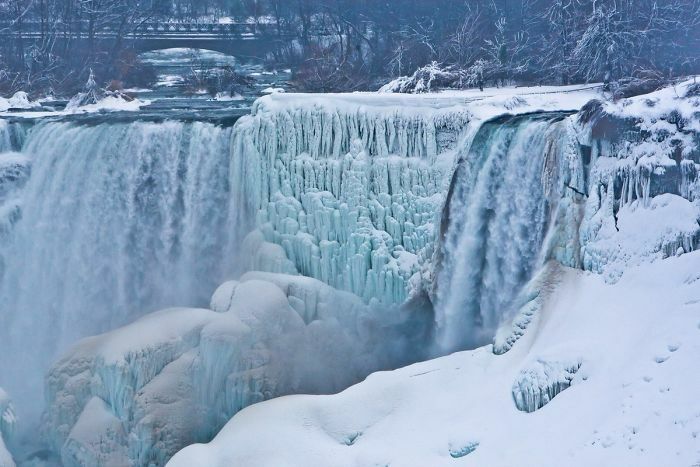 The second largest is the American Falls which is on the U.S. side and is separated by Goat Island. 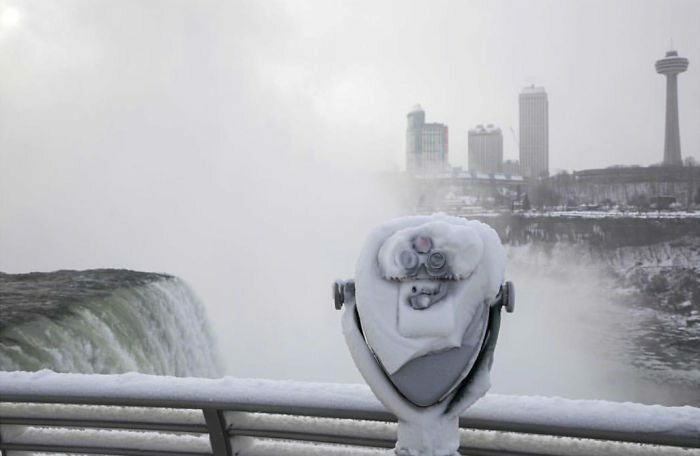 The smallest is Bridal Veil Falls which is also on the U.S. side and is separated from the other falls by Luna Island. 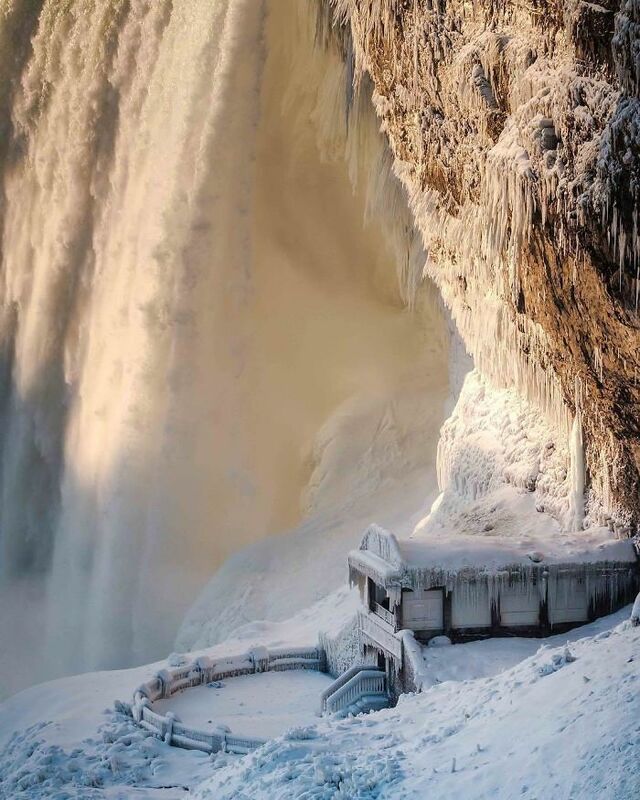 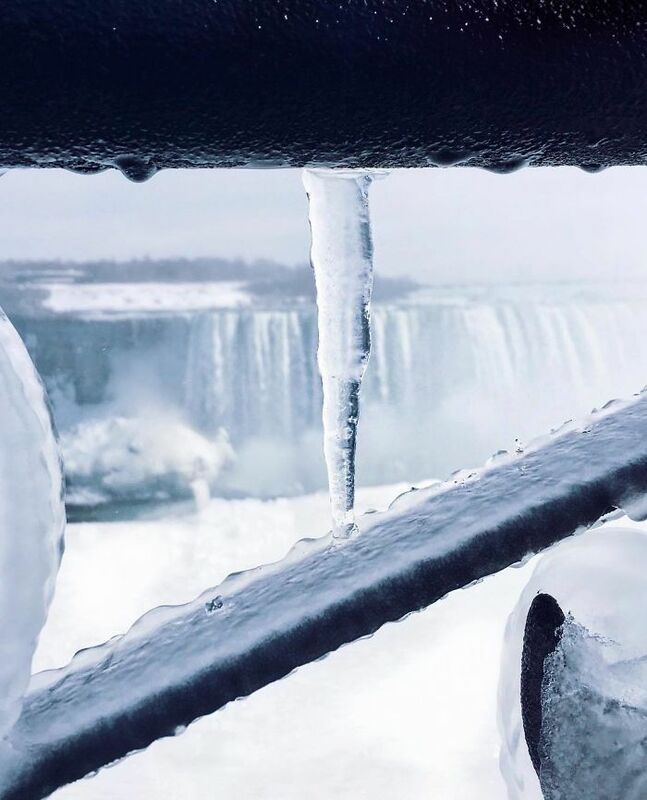 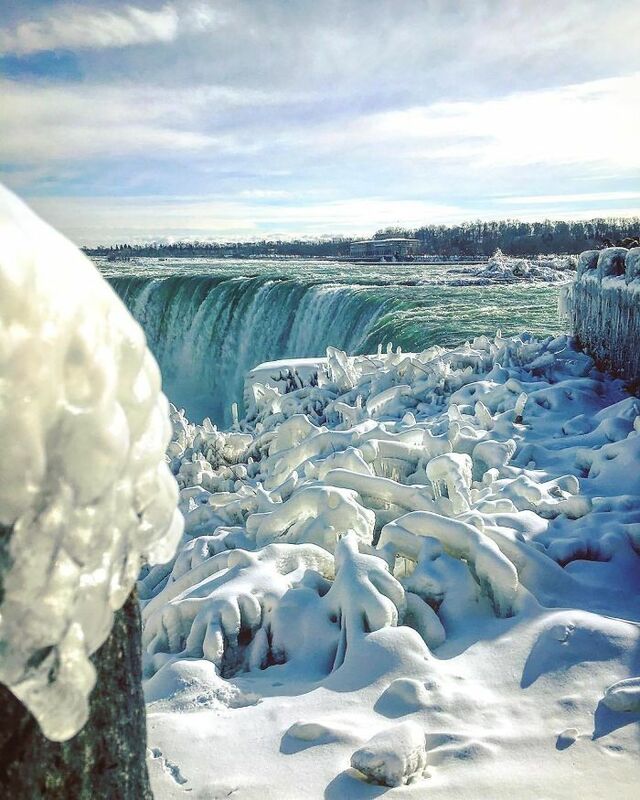 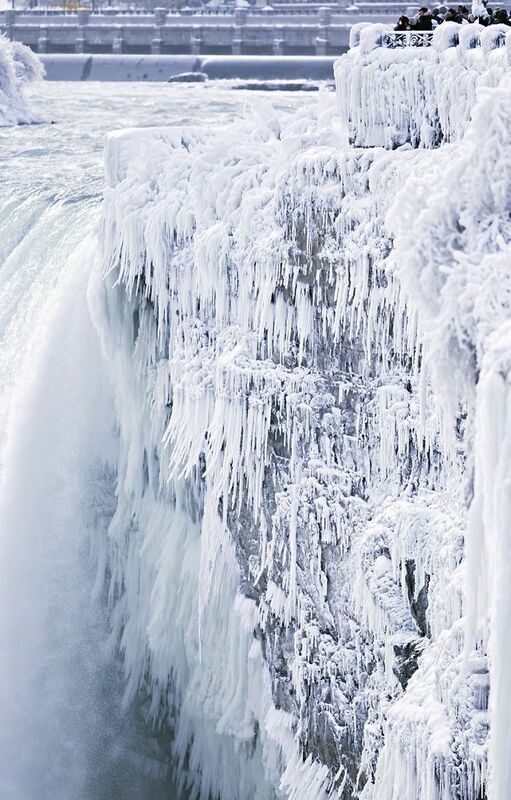 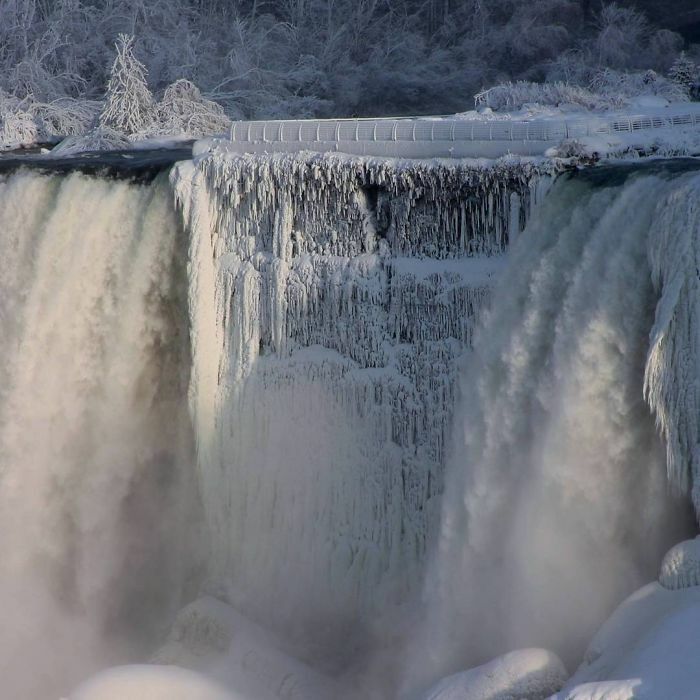 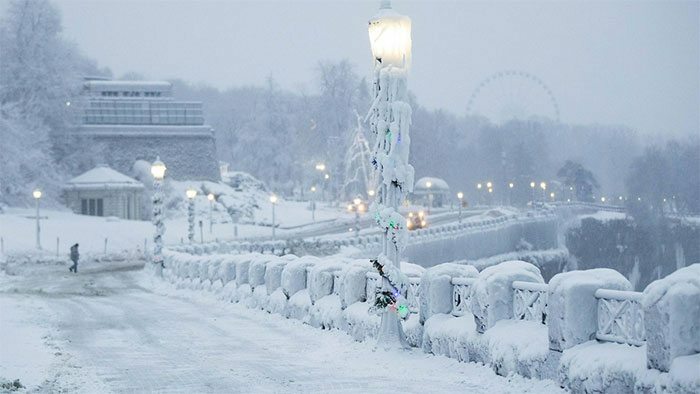 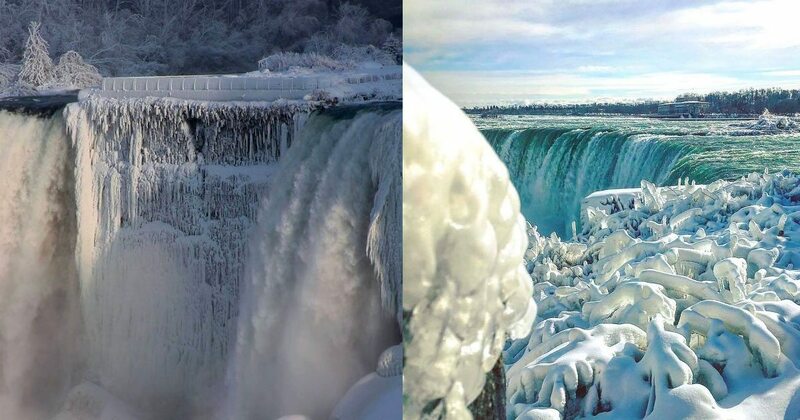 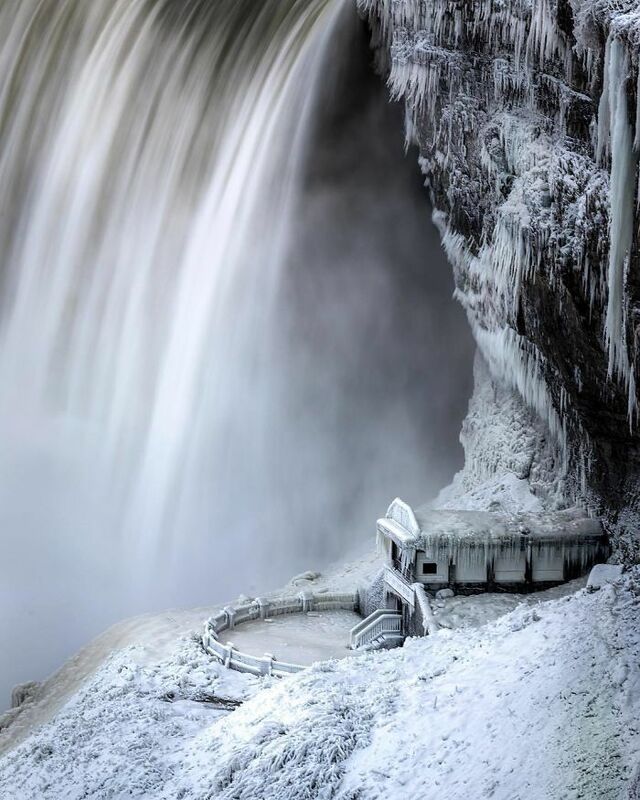 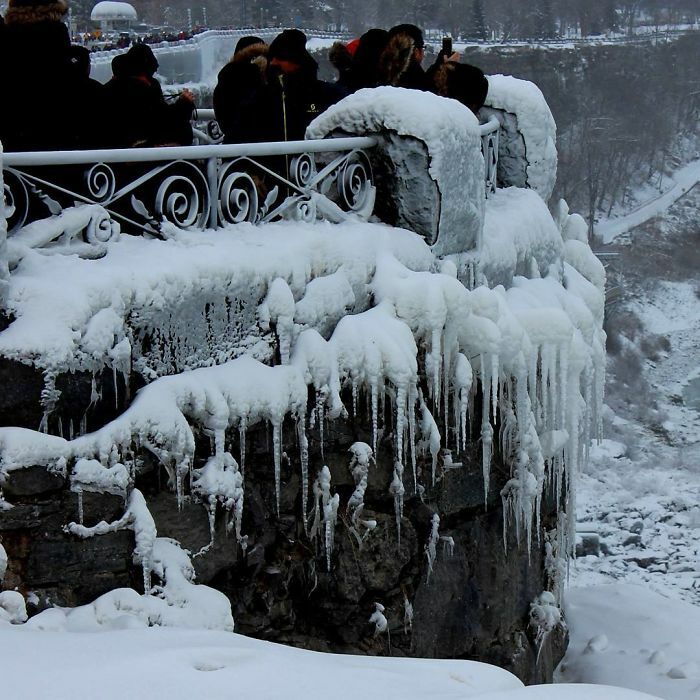 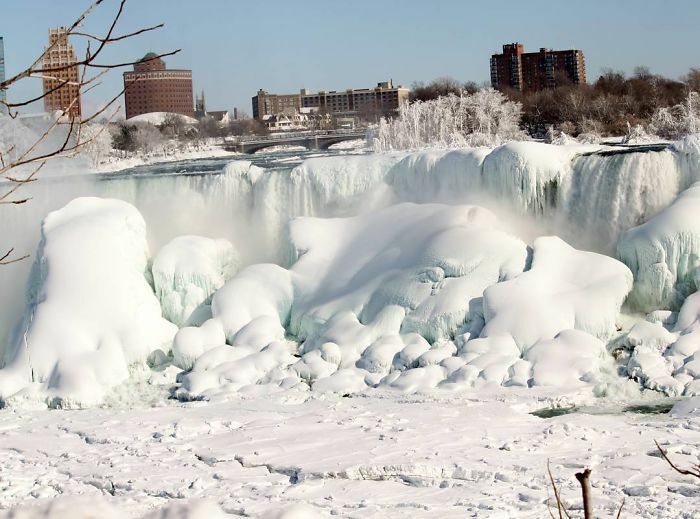 While the rushing waters of Niagara Falls is a stunning sight in the summer, spring, and fall, Niagara Falls turns into an incredible display that looks like something out of the movie “Frozen” in the winter. 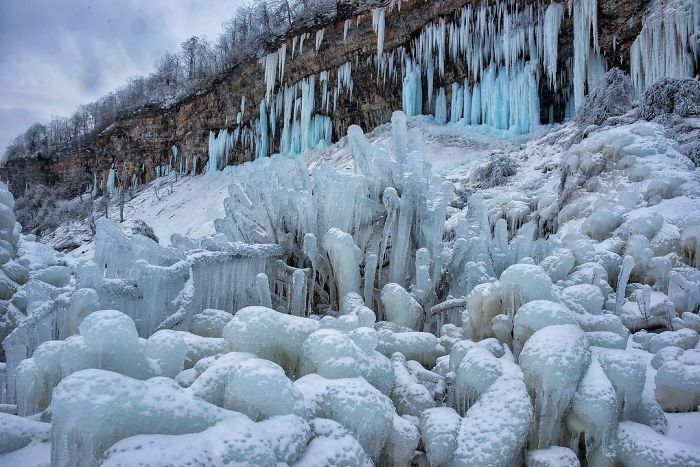 Everything freezes over and becomes coated in ice to create a magical natural display. 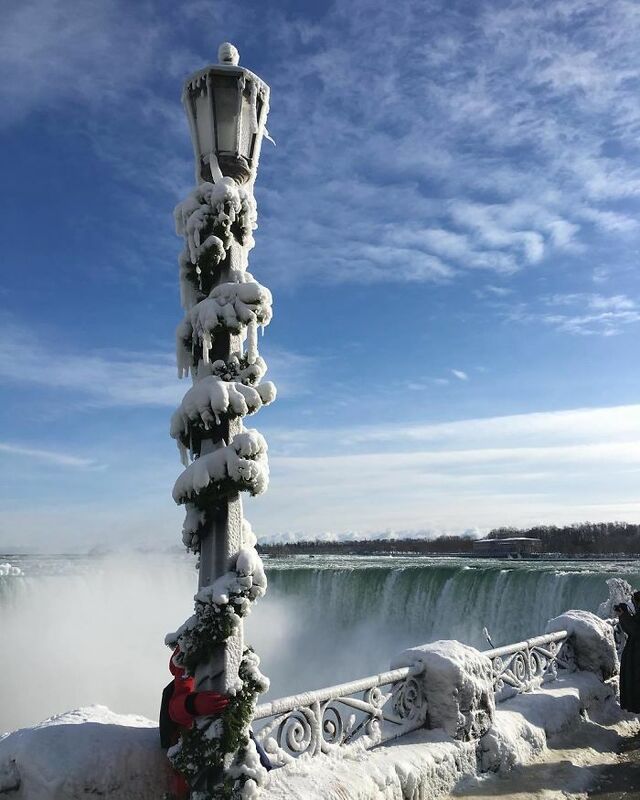 Giant icicles form, railings look like giant ropes of ice, and plants become giant frozen bulbs. 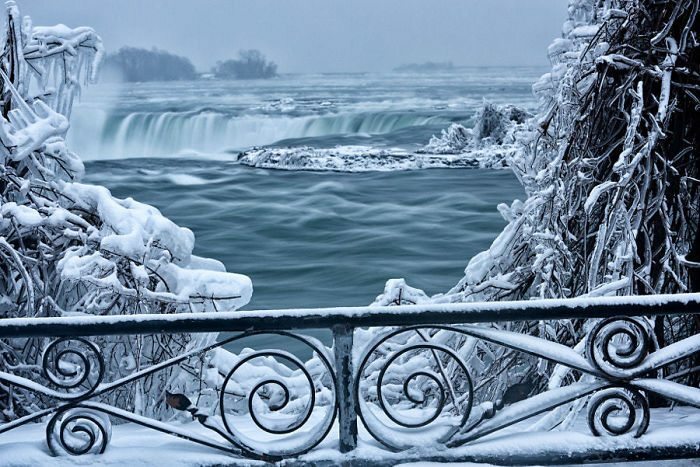 More than 3,000 tons of water flows over Niagara Falls every second, according to the Washington Post. 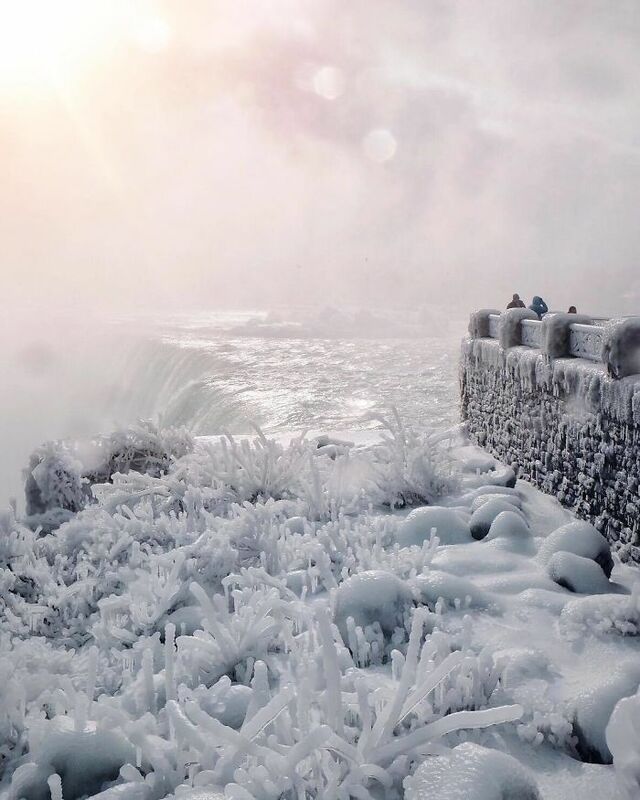 So, when it freezes over it gets so thick that some people will build concessions stands on the ice or walk across it to cross into Canada from the U.S. or vice versa. 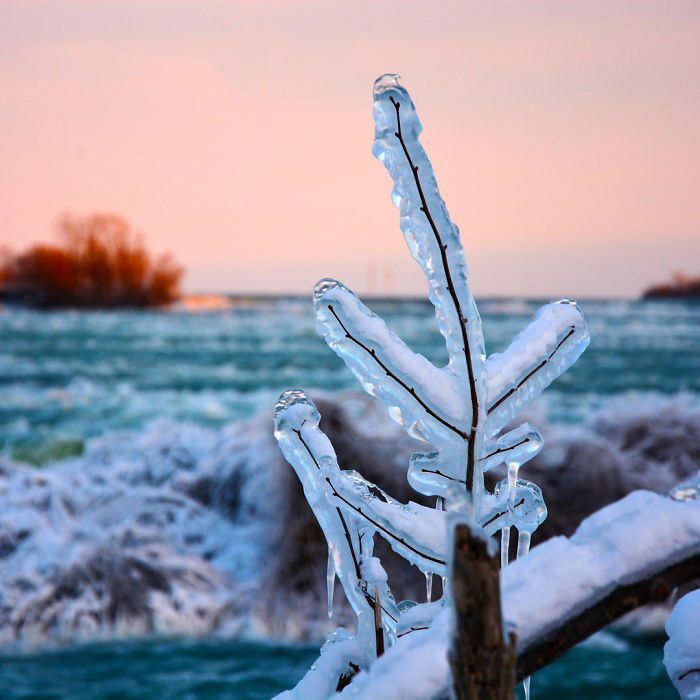 1) Did You Know That Water Can Be Spikey? 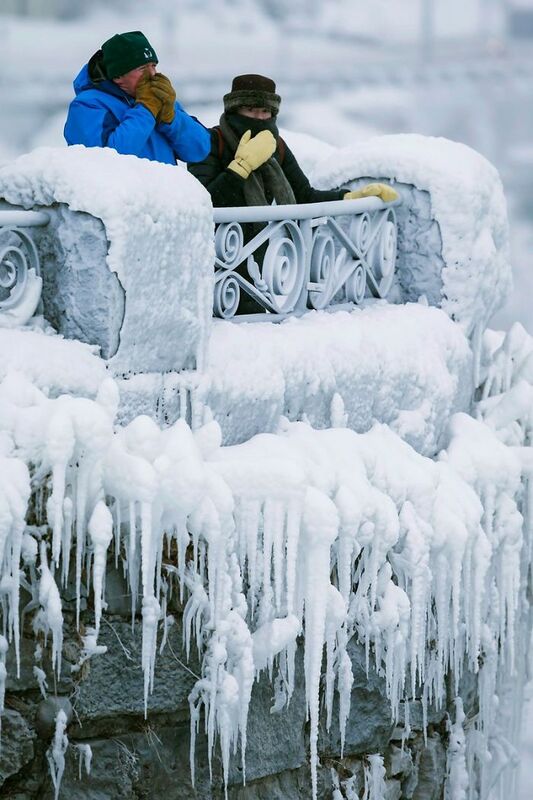 7) Is That Elsa’s House?